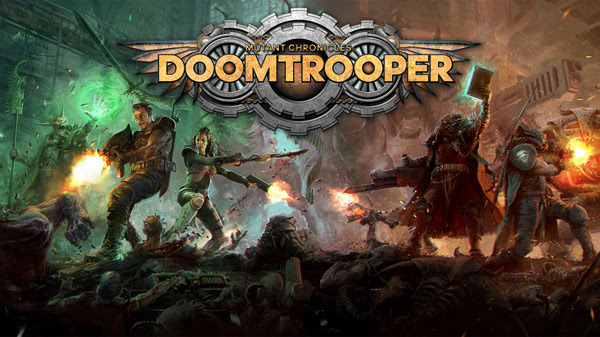 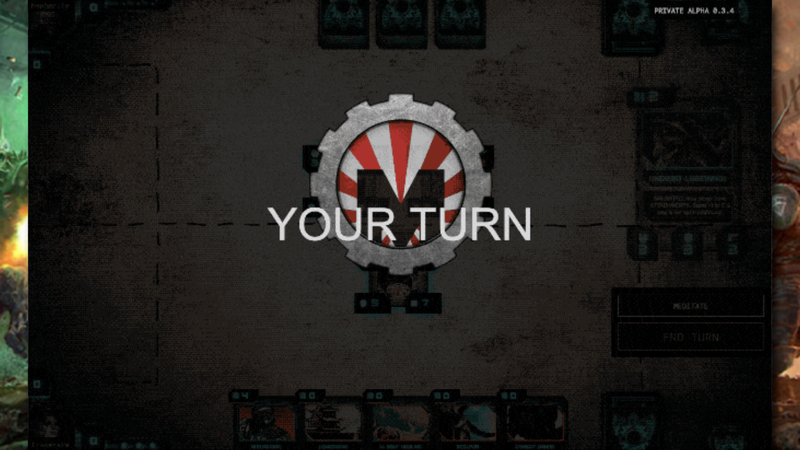 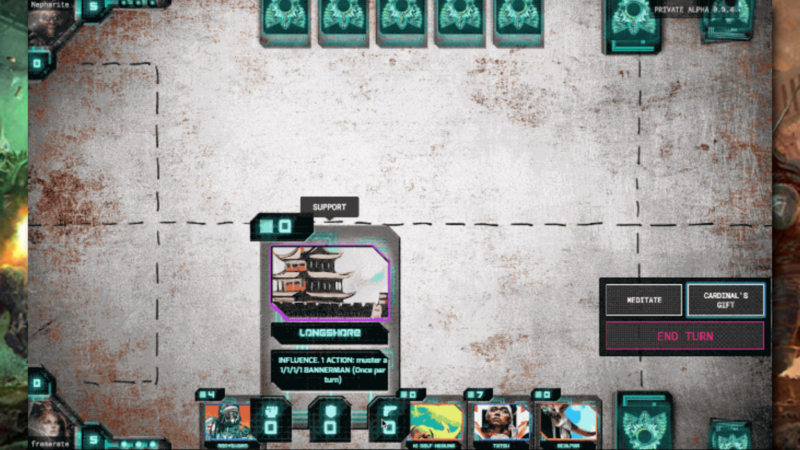 Doomtrooper is a digital CCG based on the diesalpunk sci-fi Mutant Chronicles universe from the '90s. 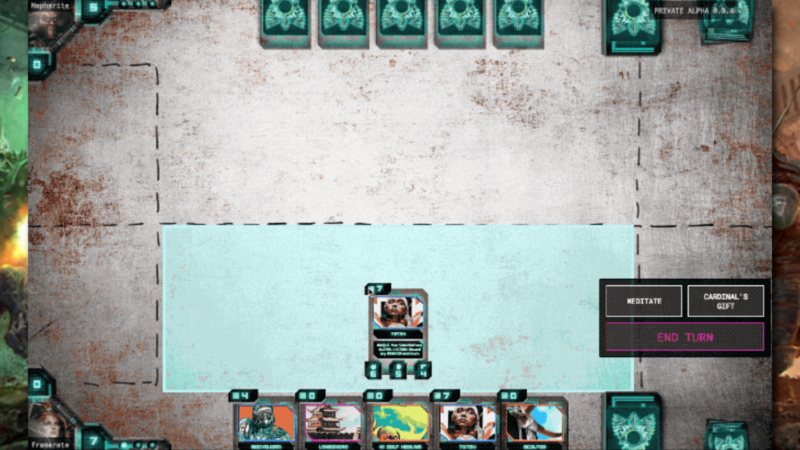 Choose a faction, craft cards, build a deck, and face off against cunning opponents from all around the world, available for Windows. 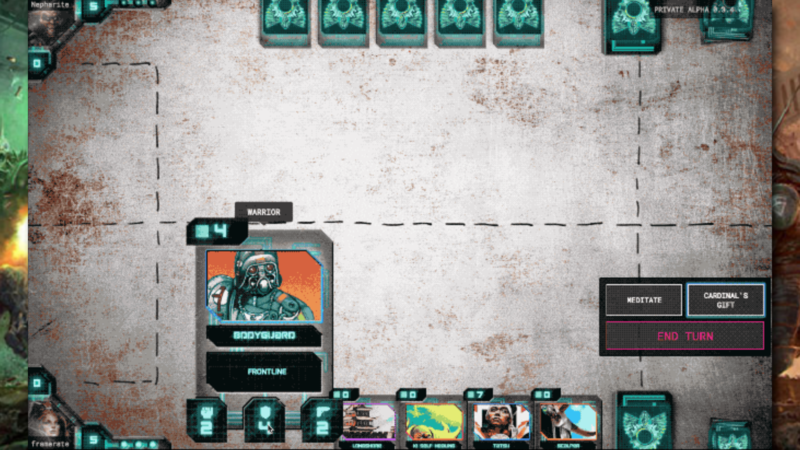 Interplanetary Adventure: Explore a domain of chainsaws, hostile encroaching aliens, corporate conspiracy, stylized mechanical vehicles, and legion vs. horde warfare. 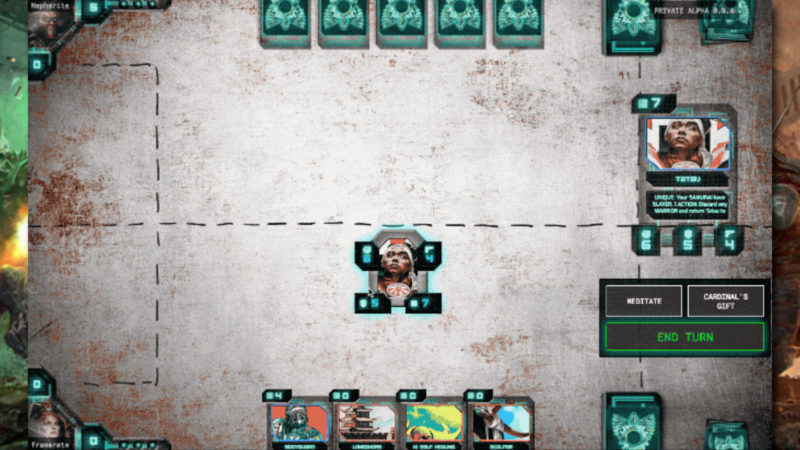 Board Battlefield: Learn the distinct tactics behind your various possible actions including playing a warrior unit card, supporting the frontline, equipping them with attachments, activating a faction power, or changing destiny with fate. 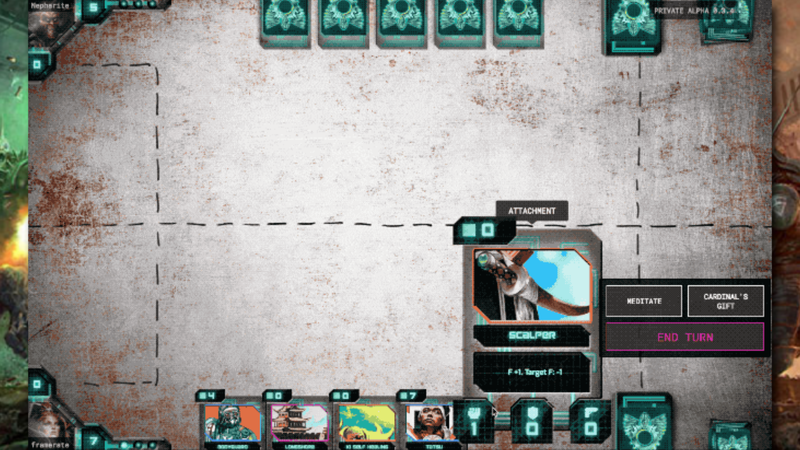 Personalized Playstyle: Mix, match, and see what works with 8 different classes and over 400 cards to choose from.